Chris Golson’s Photography Adventures announces a new digital photo workshop set in the San Francisco Bay Area that will include a photo shoot while aboard a Zeppelin in flight. The workshop will take September 27 – 30, 2009 in locations in and around Half Moon Bay, CA, just 24 miles south of San Francisco. The workshop will be a luxurious and unique experience designed to deepen the practical skills and artistic groundings of the aspiring beginner and intermediate digital photographer. It is open to a maximum of 10 students, to ensure that each participant gets plenty of one-on-one instruction. Spouses are encouraged to attend for a nominal additional fee, which includes luxurious accommodations and meals; however, it does not include the workshop. A portion of the proceeds will go to Raphael House. “We believe it is important to give back to our community and we are proud to be affiliated with such an amazing organization”, said Chris Golson. Raphael House, conceived as the first shelter for children and families experiencing homelessness in Northern California, provides an environment of loving support where families and children are able to restore and strengthen family bonds as they move toward brighter more hopeful futures. The instructor is acclaimed Dutch photographer Dirk Karsten, whose career includes work for companies like Mercedes, American Express, Heineken and Sony, and who has been the recipient of major awards bestowed from 28 countries; and Chris Golson, a Silicon Valley photographer, technologist and leader of many years of local workshops. Sessions include topics such as “Deciding What to Shoot” and “Working within Limitations of your Camera” Exploring the side of how master photographers take advantage of the eyes’ capabilities. This is to prepare for the highlight of the seminar “Airborne Safari” taking place in one of the world’s only new Zeppelin airships the Eureka. Capturing light perfectly at sunset and shooting from a unique perspective will be the memorable experience. This will be the first time the Airship will be completely dedicated a photographic teaching session. 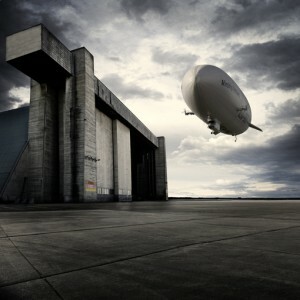 The Airship is an ideal venue for this preparatory outing as it a perfect stable platform to shoot from. With wide panoramic windows it enjoys 180-degree visibility unto San Francisco Bay. The attendees will learn the preparation of a challenging & unique shoot; understand the importance of artistic development and establishing a personal style in photography. Lodging will be at the Seal Cove Inn, a luxurious and secluded bed & breakfast near Half Moon Bay, an intimate coastal town whose natural features afford spectacular conditions for outdoor photography. The Seal Cove Inn blends the modern luxuries and sophisticated services of a boutique hotel with the traditional amenities and architecture of a B & B. The surroundings of the Seal Cove Inn offer ideal conditions for outdoor photography: afternoon fog creeps through ancient cedar forests; massive herds of seals sun themselves on the craggy shores below; and the commercial fisherman of Half Moon Bay set out with briny nets to troll for their daily catch. The area also provides ample pleasures for family members not attending the workshop: Ride horses unescorted on the beach. Lead your children on pony rides. Explore the Fitzgerald Marine Reserve, which contains flora and fauna adapted to live on windswept shores. Stroll the charming, rustic streets of Half Moon Bay, where you’ll find galleries, country stores and top-notch restaurants. For more: http://chrisgolson.com/workshop/ contact chris@chrisgolson.com or 650 996 2288. A Silicon Valley photographer and technologist, Chris is a lecturer at The Pacific Art League, where he has given multiple workshops on creativity, portraiture and histograms. He has produced book covers, awards and has a strong following for his right brain / left brain teaching technique in photography. Chris is a Californian and knows the area extensively. Chris has a long career in imaging, having helped launch HTDV for Sony as well as having developed several courses in digital photography, portraiture and imaging. Dirk is an Amsterdam-based advertising photographer who has received major awards in 28 countries—among them the gold prize for best photography from the Italian Art Directors Club. He has been featured in each edition of Lurzer’s magazine “200 Best Ad Photographers Worldwide” and his work has been shown in The Hague’s Gemeente museum. During his career his work has been commissioned by hundreds of the world’s most prominent companies and brands and he has mentored and trained many young photographers.